So, who am I and what am I doing? 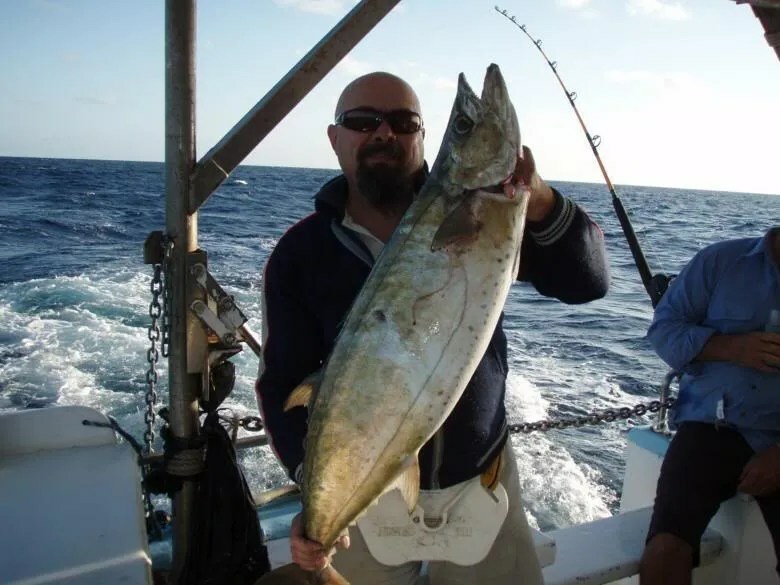 Well, my real name is Richard but a lot of people on the net know me under different nicks, the latest is TravellingStrom or TS for short, I have also been called many other names as I grew up, some not so flattering 🙂 This is me enjoying another of my favorite pastimes, reef fishing. I intend to ride my motorbike around Australia where I have spent most of my life, then fly with the bike to the American continent and tour around there. After that, get us to the UK, go through Europe and head back home via whatever route is available when I get there that is reasonably safe, I would expect the Stans and then Asia, possibly China and then back home. If things change for the better in the middle east, I would like to check out a few of those ancient places. I figure that if I do the trip in this direction, I will have most of my funds available while in the most expensive parts of the world, ie, US, Europe. Then when the funds start to get low, I should be in the Asian sector where you get more bang for the buck. That means I can still travel at the same comfort rate as before, or maybe even better, you never know. That said, I still have a couple of places I would like to be at certain times. The first one is the Ulysses Adventure Riders AGM, which this year is being held in Myrtleford, Victoria 11th October. I have a feeling I will be in Western Australia at that time. But, if I am within 2000km, then it is only a few days ride to be there for that weekend. I will try and ‘steer’ my route in this direction where possible without backtracking too much nor causing undue hardship on myself. If I miss it, I miss it, I am not going to die trying! I had been thinking for a long while about which way to proceed with the overseas legs, I was initially considering flying to Singapore and heading west via the silk road, this has been done by many bikers in the past. I also have many ‘net’ friends in the US and was thinking of getting there around Christmas, but it would be winter there and I am not sure I could go from an Aussie summer direct to a US winter, brrrrrr, so I sort of let it rest a while, I still had plenty of time to make that decision. I am an avid follower of the Dakar Rally, usually held from the 1st-15th January every year which winds its way through south Europe, then Africa into the finish at Dakar. This years event was cancelled due to tourists being killed which was very sad, of course they had to cancel the event 3 days before the start, but they could not maintain the safety of the thousands of competitors, officials and spectators. I heard in early April this year that the 2009 version has been moved to the South American continent and will start and finish in Buenos Aires, Argentina. That was it!! I had a goal and a date, now I could get my arse into gear and start planning 🙂 The Dakar would start on the 3rd January, I could fly in and follow it around, find some vantage points and watch the action first hand. Over the next few months, the bike forums were alive with talk, there was going to be heaps just turning up to watch. All I needed to do was somehow get the bike there, the latest info I have is Qantas will do a direct flight, I am hoping that is so. So, that is my second and last deadline at this stage. Why take the bike, why not buy overseas, surely it will cost a lot to fly a bike, I hear the questions coming? Well, for a start I bought the bike new, I have maintained it and modified it to suit me. If I bought a bike overseas, who knows what I would get. Then I would have all the hassle of modifying the bike in a short time frame, then assuming that worked, I would have problems at some of the international borders. Doing it my way, I only have to prove that the bike will not be sold in the countries I travel through. I also will have no issues importing the bike back into Australia at the end of my travels in a few years time, except for quarantine of course, it will need a bit of a scrub 🙂 Yes, it will cost money, probably around $5000, but I will save that in not having to keep buying selling etc while over there. Below here is a contact form. If you would like to contact me privately then just fill out the details and write your message in the box. Also if you wish to be added to a notification list of blog updates, just send me an email as well. keep your nose in the wind mate, great looking Pics. Sounds and looks like your having a great trip. Take care, and when you get to europe, a bed and a beer i can offer. Glad things are going well for you in USA, keep up the blogs. Your Mum was in the Library this morning and filled me in on your travels – how wonderful!! I will keep track of you too! Love the cold but not on bikes – brrrr! I am confused, but what is new 🙂 I thought I answered this comment the other day. But it may have been an email reply, not a web based one. Passed you today as you were heading north on I-95…..just entered South Carolina. We (the family) were heading back to upstate SC from my grandson’s christening in Brunswick, GA. I too have a 650 V-Strom and that’s what caught my eye. I thought to myself “now that is a long distance rider”……little did I know until I visited your website. Wow! Had a great time in Key West Florida at Cowboy Bills and Margaritaville . Have a great trip ! !